Maistre, Coleridge, Marx, Croce, Gramsci, Joyce, Evola, Michelet, Quinet, Auerbach, McLuhan, Hillman, Frye, Castoriadis, Preve, Hösle, Voegelin, Berlin, Sorel. Giambattista Vico (B. Giovan Battista Vico, 23 June 1668 – 23 January 1744) was an Italian political philosopher and rhetorician, historian, and jurist, recognized as a great intellectual of the Age of Enlightenment. He criticized the expansion and development of modern rationalism and was an apologist for Classical Antiquity; Vico is best known for his magnum opus, the Scienza Nuova (1725, New Science). Vico is a precursor of systematic thought and of complex thought, in opposition to Cartesian analysis and other types of reductionism, and is credited with the first exposition of the fundamental aspects of social science and of semiotics. As an intellectual, Giambattista Vico is considered to have inaugurated the modern field of the philosophy of history, and, although the term Philosophy of history is not in his texts, he speaks of a "history of philosophy narrated philosophically". Although not an historicist, interest in Vico usually has been driven by historicists, such as Isaiah Berlin, and Hayden White. Moreover, Giambattista Vico also is known for the Latin aphorism Verum esse ipsum factum ("True itself is fact" and "The true itself is made"), which proposition is an early instance of constructivist epistemology. 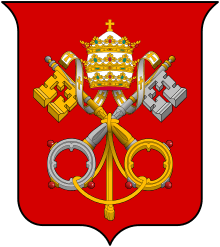 Vico received his formal higher education at the University of Naples from which he graduated in 1694 as Doctor of Civil and Canon Law. After a bout of typhus in 1686, he accepted a tutoring position in Vatolla (a Frazione of the comune of Perdifumo, in the Cilento region), south of Salerno, that would last till 1695. In 1699, he married a childhood friend, Teresa Caterina Destito, and took a chair in rhetoric at the University of Naples. Throughout his career, Vico would aspire to, but never attain, the more respectable chair of jurisprudence. In 1734, however, he was appointed royal historiographer by Charles III, king of Naples, and was offered a salary far surpassing that of his professorship. Vico retained the chair of rhetoric until ill-health forced him to retire in 1741. Vico's version of rhetoric is often seen as the result of both his humanist and pedagogic concerns. In De Nostri Temporis Studiorum Ratione ("On the Order of the Scholarly Disciplines of Our Times"), presented at the commencement ceremonies of 1708, Vico argued that whoever “intends a career in public life, whether in the courts, the senate, or the pulpit” should be taught to “master the art of topics and defend both sides of a controversy, be it on nature, man, or politics, in a freer and brighter style of expression, so he can learn to draw on those arguments which are most probable and have the greatest degree of verisimilitude” (however, in his "Scienza Nuova", Vico denounces as "false eloquence" one defending both sides in controversies). As Royal Professor of Latin Eloquence, it was Vico’s task to prepare students for higher studies in law and jurisprudence. His lessons thus dealt with the formal aspects of the rhetorical canon, including arrangement and delivery. Yet as the above oration also makes clear, Vico chose to emphasize the Aristotelian connection of rhetoric with dialectic or logic, thereby reconnecting rhetoric to ends (or topics) as their center. Vico's objection to modern rhetoric is that it cuts itself off from common sense (sensus communis), as the sense common to all men. In his lectures and throughout the body of his work, Vico's rhetoric begins from a central argument or "middle term" (medius terminus) which it then sets out to clarify by following the order of things as they arise in our experience. Probability and circumstance retain their proportionate importance, and discovery – reliant upon topics or loci – supersedes axioms derived through reflective abstraction. In the tradition of classical Roman rhetoric, Vico sets out to educate the orator as the deliverer of the "oratio", a speech having "ratio" or reason/order at its heart. What is essential to the oratorical art (as the Greek ῥητορική, rhētorikē) is the orderly link between common sense and an end commensurate with it — an end that is not imposed upon the imagination from above (in the manner of the moderns and a certain dogmatic form of Christianity), but that is drawn out of common sense itself. In the tradition of Socrates and Cicero, Vico's real orator or rhetorician will serve as midwife in the birth of "the true" (as a form or idea) out of "the certain" (as the confusion or ignorance of the student's particularized mind). As he relates in his autobiography, Vico returned to Naples from Vatolla to find "the physics of Descartes at the height of its renown among the established men of letters." Developments in both metaphysics and the natural sciences abounded as the result of Cartesianism. Widely disseminated by the Port Royal Logic of Antoine Arnauld and Pierre Nicole, Descartes's method was rooted in verification: the only path to truth, and thus knowledge, was through axioms derived from observation. Descartes's insistence that the "sure and indubitable" (or, "clear and distinct") should form the basis of reasoning had an obvious impact on the prevailing views of logic and discourse. Studies in rhetoric – indeed all studies concerned with civic discourse and the realm of probable truths – met with increasing disdain. Vico's position here and in later works is not that the Cartesian method is irrelevant, but that its application cannot be extended to the civic sphere. Instead of confining reason to a string of verifiable axioms, Vico suggests (along with the ancients) that appeals to phronēsis (φρόνησις or practical wisdom) must also be made, and likewise appeals to the various components of persuasion that comprise rhetoric. Vico would reproduce this argument consistently throughout his works, and would use it as a central tenet of the Scienza Nuova. Vico has been called the 'sleeping partner' of the Enlightenment. He was largely unknown in his own time, read only in his native Naples. Nonetheless his ideas are remarkably similar to later Enlightenment thinkers. It was not until the 1820s that his writing was recognised, although somewhat reconfigured by the French Romantic historians. Edward Said states that his book Orientalism is indebted to Vico; he mentions Vico 13 times. Said traces Vico's influence in many philosophers through the twentieth century. Said writes that Vico's “ideas anticipate and later infiltrate the line of German thinkers I am about to cite. They belong to the era of Herder and Wolf, later to be followed by Goethe, Humboldt, Dilthey, Nietzsche, Gadamer, and finally the great Twentieth Century Romance philologists Erich Auerbach, Leo Spitzer, and Ernst Robert Curtius.” For Said, Vico as a humanist and early philologist represented “a different alternative model that has been extremely important to me in my work,” which differed from mainstream Western prejudice against the Orient and the dominating “standardization” that came with modernity and culminated in National Socialism. Vico, according to Said, saw the interdependence of human history and cultures as organically bound together. Said believes historians and scholars “must take seriously Vico's great observation that men make their own history, that what they can know is what they have made, and extend it to geography. As geographical and cultural entities — to say nothing of historical entities — such locales, regions, and geographical sectors as "Orient" and "Occident" are man-made." ↑ The contemporary, dominant interpretation of Vico owes much to Donald Philip Verene; See: 2002 "Giambattista Vico", A Companion to Early Modern Philosophy, Steven M. Nadler, Ed. London:Blackwell Publishing, ISBN 0-631-21800-9. p. 570. ↑ (1976), "The Topics of History: The Deep Structure of the New Science", Giambattista Vico, "Science of Humanity", Giorgio Tagliacozzo and Donald Philip Verene, Eds. Baltimore and London:1976. ↑ Giambattista Vico: An International Symposium. Giorgio Tagliacozzo and Hayden V. White, Eds. Johns Hopkins University Press:1969. Attempts to inaugurate a non-historicist interpretation of Vico are found in Interpretation: A Journal of Political Philosophy , Spring 2009, Vol. 36.2, and Spring 2010 37.3; and in Historia Philosophica, Vol. 11, 2013 . 1 2 3 4 Costelloe, Timothy. "Giambattista Vico". Retrieved 6 March 2014. 1 2 Hamilton, Peter (1974). Knowledge and Social Structure. London: Routledge and Kegan Paul. p. 4. ISBN 0710077467. ↑ Marx, Karl. Capital, Book 1. pp. Book 1, part IV, chapter 13, n.89 (footnote). ↑ Chaix-Ruy, Jules-Marie. 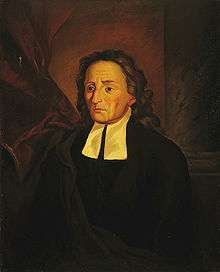 "Giambattista Vico". Encyclopedia Britannica. Retrieved 6 March 2014. 1 2 3 4 Said, Edward (2003) . Orientalism. Penguin Classics. pp. xviii, 4–5. Chisholm, Hugh, ed. (1911). "Vico, Giovanni Battista". Encyclopædia Britannica. 28 (11th ed.). Cambridge University Press. Fabiani, Paolo, "The Philosophy of the Imagination in Vico and Malebranche". F.U.P. (Florence UP), Italian edition 2002, English edition 2009. Berlin, Isaiah. Vico and Herder. Two Studies in the History of Ideas. London, 1976. Berlin, Isaiah. Three Critics of the Enlightenment: Vico, Hamann, Herder. London and Princeton, 2000.